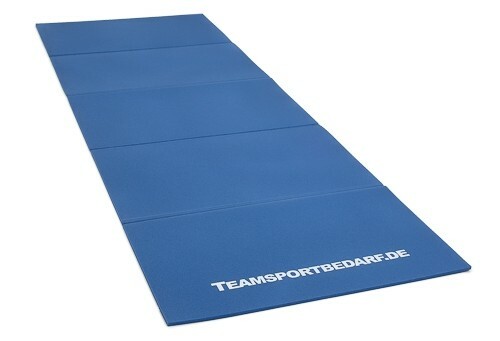 You get a foldable gym mat (blue), which is suitable for indoor and outdoor use. The mat is 190 cm long, 60 cm wide and 0.8 cm thick. It consists of non-slip and abrasion-resistant PE-material that is at the same time water-repellent. In addition, the skin-friendly gym mat can be folded and thus saves space when stored. A complete set of 10 incl. matching carrying bag can also be bought in our shop. Professional clubs and sportsmen also purchase our products.